The hiring process is remarkably similar to dating when you begin to take a closer look. Both require a tremendous amount of patience, aptitude, and intuition. And sometimes, both result in more duds than successes. A recent trend in recruitment borrows philosophies from the dating world. Known as speed interviewing, this brand new approach is intended to improve the efficiency of the hiring process. But just like the world of speed dating, you’ll need to know what to do — and what to avoid. Here are some things that speed dating can teach us about recruiting. You’ll absolutely need to start considering where you’re finding prospects. While standard interviews are still (shockingly) common, it’s time to start thinking bigger. Smarter companies are hitting the net to find their next great employee. Companies such as Ladders have created revolutionary apps designed solely for interviewing. Think of their app as a job-related Tinder. A recruiter swipes left if they’re not interested, or right if they’d like to follow-up. Who knew hook-up culture could be so helpful? People want flexibility these days. Nothing is more flexible than interviewing straight from your smart device. Consider implementing apps, or even a VOIP service like Skype to talk with prospects. Let’s face it, dating and therefore recruitment, are just up to chance sometimes. It’s all about finding the right person at the right time at the right place. While you may have excellent skills, you’ll never know who’s out there. Always keep an eye out for the next great talent. While luck has a lot to do with success in recruitment, so do statistics. To get to the best, you’ll have to trudge through the rest. It isn’t uncommon to vet candidates before bringing them in for an interview. Even if you just participate in a phone screener, you’re doing your due diligence ahead of time. The world of speed dating — and speed interviewing — work a bit differently. The key here is to interview as many potential candidates as possible. Just as in scientific studies, the larger the data pool, the better your results. Chances are you’ll have a lot of great first interviews. Why is this? Let’s return to the dating metaphor for a moment. Since speed dating gives you so little time to get to know someone, everyone is striving to make the best first impression possible. They may be on their best behavior and will likely answer your questions with exactly what you want to hear. It’s important that you understand your first round of interviews is a lot like your initial date. In short, expect people to put on a great first impression, but don’t always trust it. Sometimes that initial interview is a bit misleading. People tend to inflate their resumes and skills to appear more impressive. Your job as a recruiter is to see through the canned answers and find the genuine truth. Just like on that speed date, you’ll hear tons of answers about why they’re the perfect candidate. You’ll need to ask the right questions to find the right answers. You can’t expect to learn much about your date or candidate without first knowing what to ask. Think back to your own time in the interview process. Chances are, you heard the same questions each interview and gave a similar canned answer. What do you offer our company? Would you turn in a bad employee? Let’s face it, these questions haven’t changed in the last few decades. You’re wasting your own time and your candidate’s time if you’re asking these questions. Some sites like GlassDoor give users the opportunity to give others a heads up on what to expect. Take this example review of Walmart’s interview process. As you scroll through the page, you’ll probably notice something. Yep, most of these questions appeared in our list above. These are ineffective questions that don’t give you a great idea of who the interviewee is as a person. Research your candidate and ask relevant questions about their history. Tailoring an interview to a specific candidate is time-consuming, but it’s the best way to find out whether the person is worth hiring. Body language experts suggest that how we act is every bit as important as what we say. Take a moment to think about your own body language. Perhaps you’re shaking your leg or picking at your nail. We have all sorts of odd tics that we don’t even know about. So how can you change the message you’re sending? Easy – just be more aware of yourself. Do your absolute best to create a warm, welcoming environment with your body language. Learn how to avoid defensive body language. You may have raised an eyebrow when you read that header, but stick with us, we promise we have our reasons. It’s possible for a candidate to have the most prestigious education and job history but fail in the soft skills department. This is a candidate to avoid. Why? Because you need to hire someone with the skills to work with others. Unless you’re working in a solitary environment, the right person needs to know how to interact in a professional setting. Ultimately, you’re looking to add a member to a team. The right candidate (or date) needs the perfect mixture of talent and natural charisma. Issues come up and problems need resolving. It’s important that you select someone who is capable of acting as part of a team. We understand that like speed dating, recruitment can be a stressful experience. That’s why we at Turesol Staffing Solutions want to make the experience as pleasant as can be. 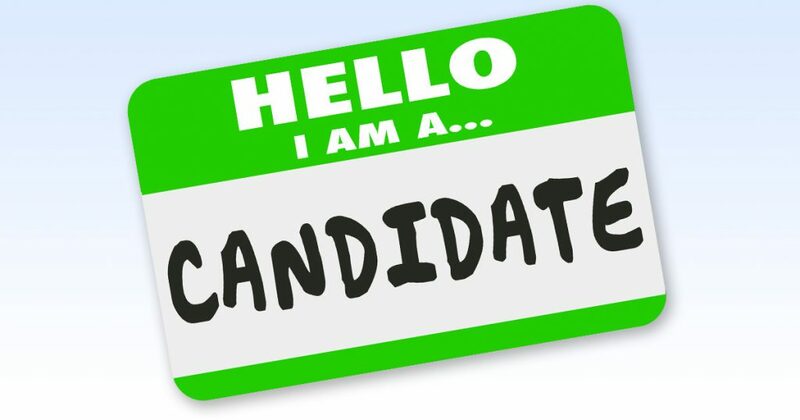 We thoroughly vet our candidates and promise to only send you your Mr. or Ms. Right. Contact us today to learn how you can quickly get the most impressive candidates in the pharmaceutical or biotech field.